My tenants needed an electrical fix of an outdoor electrical outlet. Andrew arrived on time and finished the work promptly. I'd highly recommend his services for any clients who require electrical services. Thanks for the review! Glad to be of service Vinay! The outlet in my ensuite bathroom did not work and a breaker switch would not reset on the panel. Troubleshooting revealed a shorting light switch in the neighbor bathroom as the catalyst. Thanks for the review! Glad we could help. Andrew and his partner arrived on time. Immediately, drop clothes were laid on our hard wood floor before the ladder was set up in order to remove our old fan and install the new fan. They were quick, polite and Andrew carefully explained his invoice. He also made sure that the new fan was clean. I would definitely recommend this company. Thanks for your review Catherine! It was an honor and a pleasure to serve you. Andrew was recommended to me by another electrician. Blue Electrical has completed a number of different jobs for me. It was a pleasure hiring Andrew. His expertise and professionalism is always appreciated. I recommend Blue Electrical to all and look forward to continuing to use Andrew for all our future electrical needs. Referred to Blue Electrical through a friend, and hired them to help with design and first phase of electrical wiring in a new basement. Andrew was exceptionally easy to deal with, super punctual, and happy to lend his advice to help me understand how the circuits work. Will gladly work with them again and happy to provide a recommendation. friendly, professional and helpful. Andrew booked me an appointment in a matter minutes and Garrett carried out excellent work giving me some advice along the way. He rewired some light switches and installed some new outlets in my basement. Andrew's communication from start to finish was exceptional and I now know who I will use for any further electrical work. I had a receptacle repaired through Genworth's Purchase Plus Improvements Program. Andrew Lipp gave me an estimate, sight unseen, as the sellers would not allow us to gain entry again; he came to fix it and charged lass than the estimate. 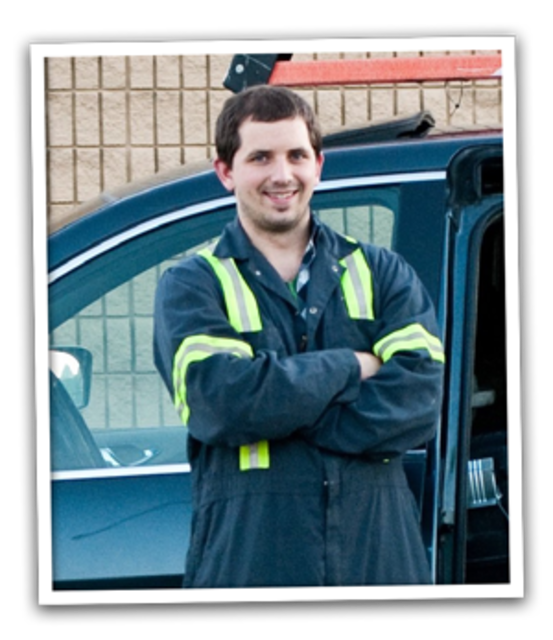 Andrew is very personable with good work ethics and fair treatment. If you want fair, professional service, Cutback Connections is great to do business with! We chose this word for “Trust,” not flashy but regal and confident. In our view, too many companies advertise as “Green” and then promote unproven technology, market environmental guilt and then price it so that only the affluent can afford it. In contrast our focus is to only supply those services and technologies we know to be effective, true value propositions while affordable. We present electrical work to the Canadian Electrical Code. We do not provide plumbing, framing, drywall, excavation or other non-electrical services. Offering too much would lead to us being outside our area expertise and compromise its quality. Construction, Maintenance, Design and Analysis are our (4) service areas. In the construction industry we build new developments and enable custom renovations. Through experience and suppliers we supply solutions for keeping electrical systems up and running. Design services are supplied by our electricians based on understanding of the Canadian Electrical Code, experience with client electrical needs and installation. Our ultimate goal is developing new and useful technology to serve others including but also beyond our Electrical focus. Involved in several projects, 25% of our revenue is directed to development of solutions for problems like Construction Challenges in our industry, Electrical Generation in the Third World, and renewable energy sources. RESIDENTIAL ELECTRICIAN SERVICES Circuit Breakers Surge Protection Ceiling Fans Light Fixtures Switches & Outlets Wiring Smoke & Carbon Monoxide Detection COMMERCIAL ELECTRICAL CONTRACTOR Backup Power Systems Generators Panel Installation & Upgrades Commercial Lighting Fire Alarms & Security Systems Wiring ALUMINUM WIRING REMEDIATION Did you know that you don’t have to re-wire your whole home and spend thousands of dollars!? Please contact us for more information.